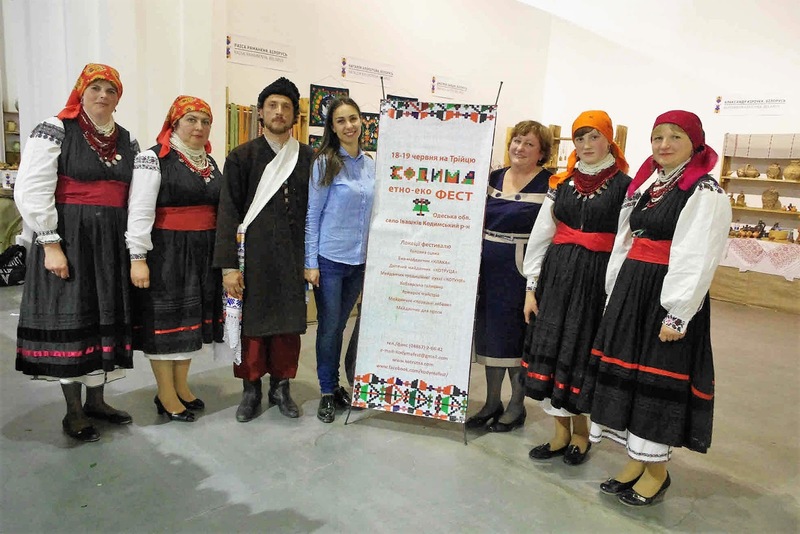 Not long ago the Ethno-Gallery of Roksolyana Shymchuk published this photograph on their facebook page, and it was widely shared. 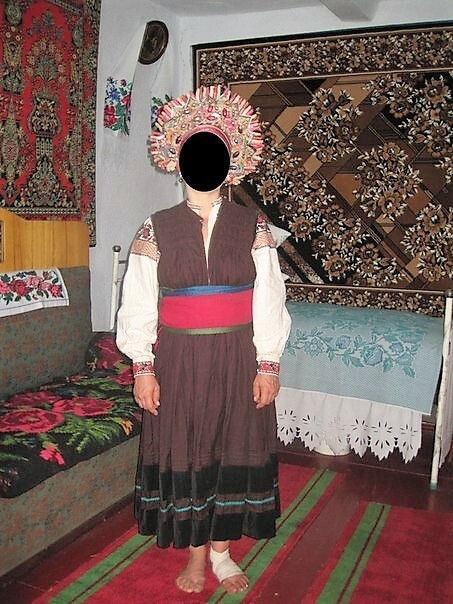 It piqued my curiosity, because this is not typical of Ukrainian costume at all, and so I started some research. The caption simply said that this was from Eastern Podillia, specifically Kodyma County in the northwest corner of Odessa Oblast. 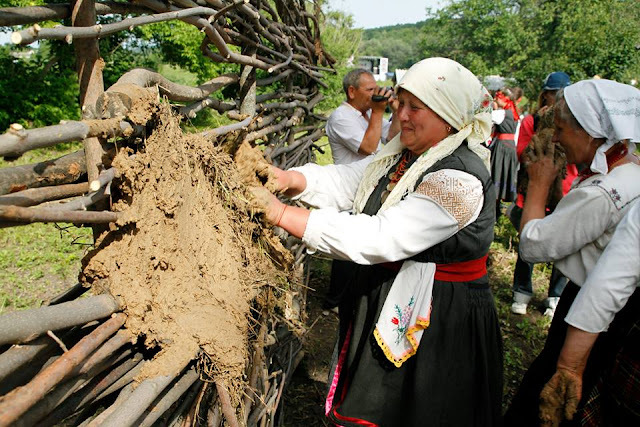 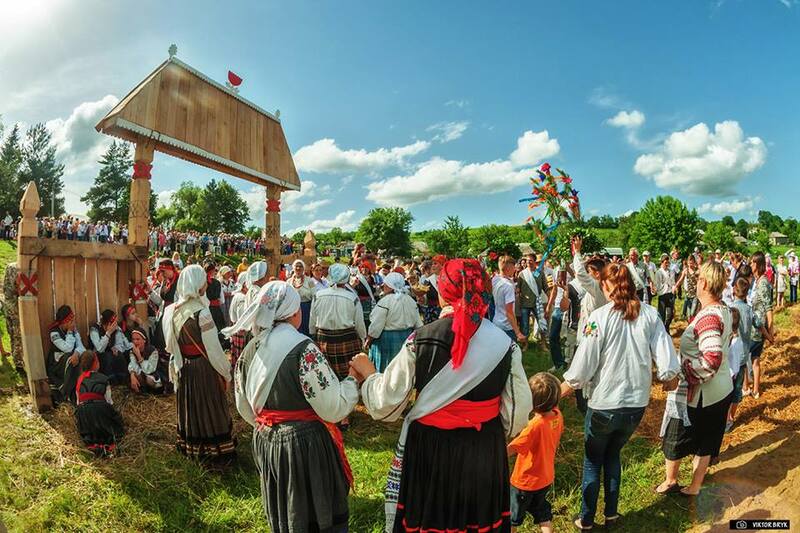 Kodyma is considered to be part of the Podillian cultural region. According to Ukrainian Wikipedia, this county is 97% Ukrainian, Romanian Wikipedia confirmed this, but added that in 1926 the Soviet Census listed the village as being 45% Moldavian, but that they had since been assimilated. 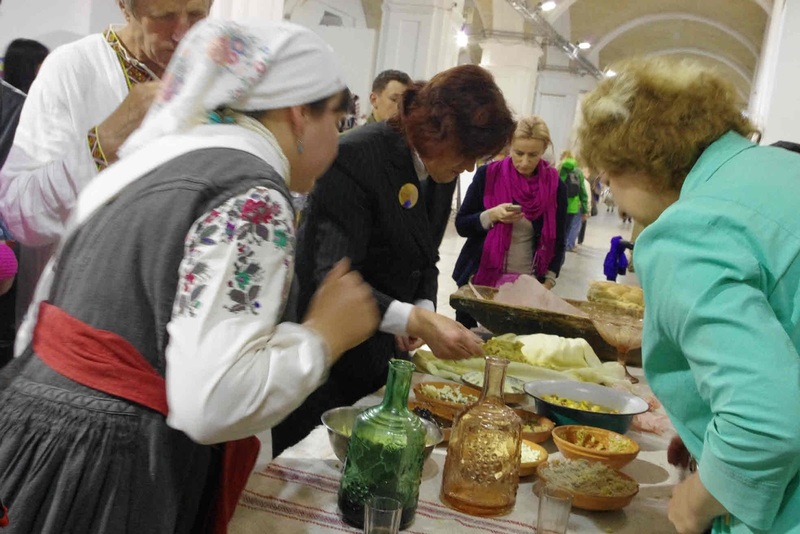 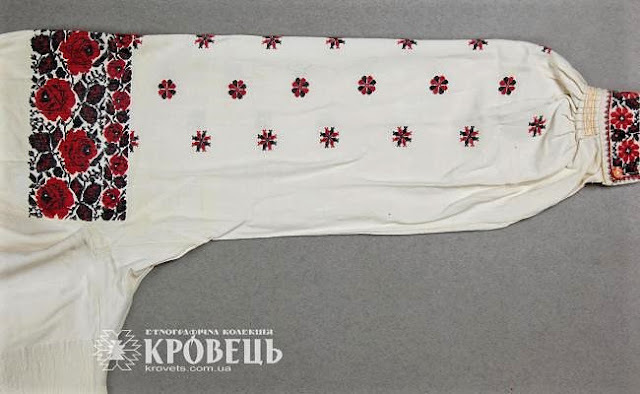 The costume was also worn over the border in the adjacent Moldovan County of Camenca, or Kamianka - Кам'янка in Ukrainian, which is currently part of Transdnistria, which is today about 51 % Moldavian and 33% Ukrainian. 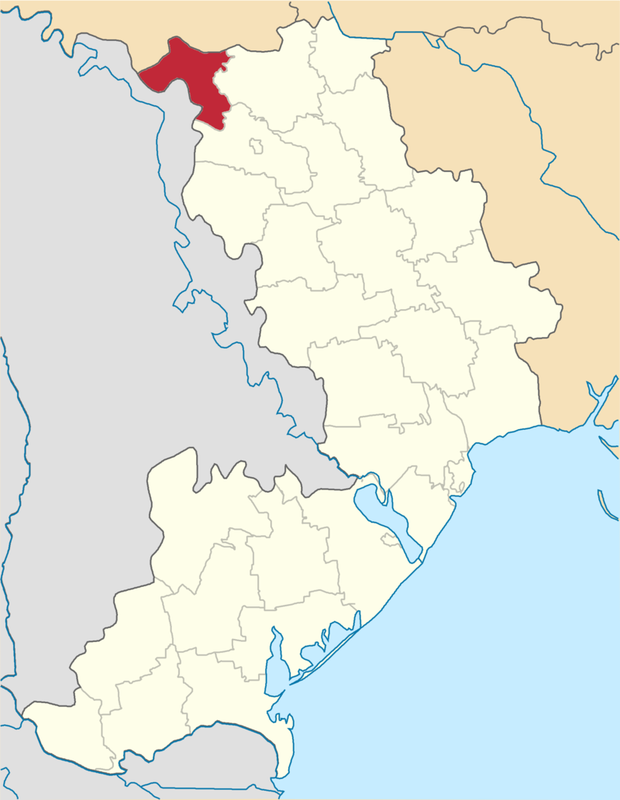 The name Kamianka itself is from the Ukrainian language. 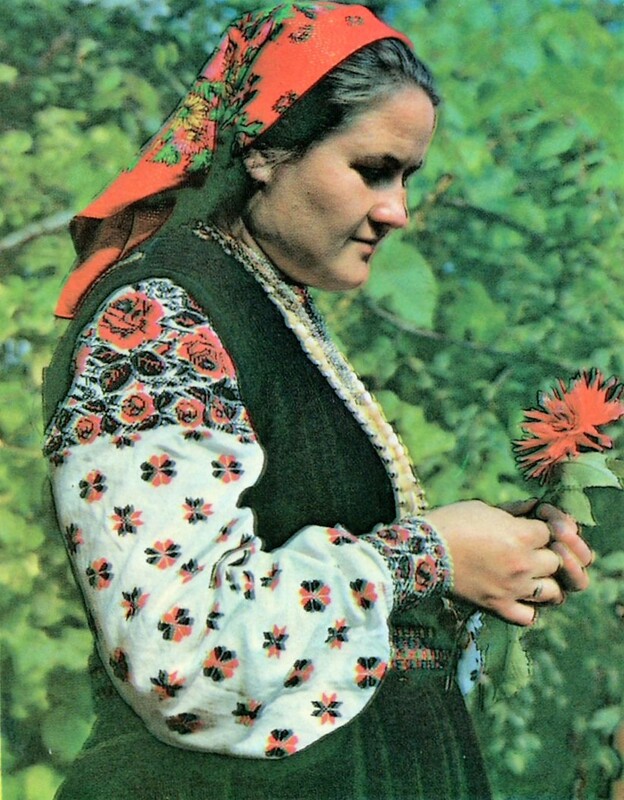 I have found no evidence that this costume was worn anywhere else, and just as it does not resemble other Ukrainian costumes, it also does not resemble other Moldavian costumes. 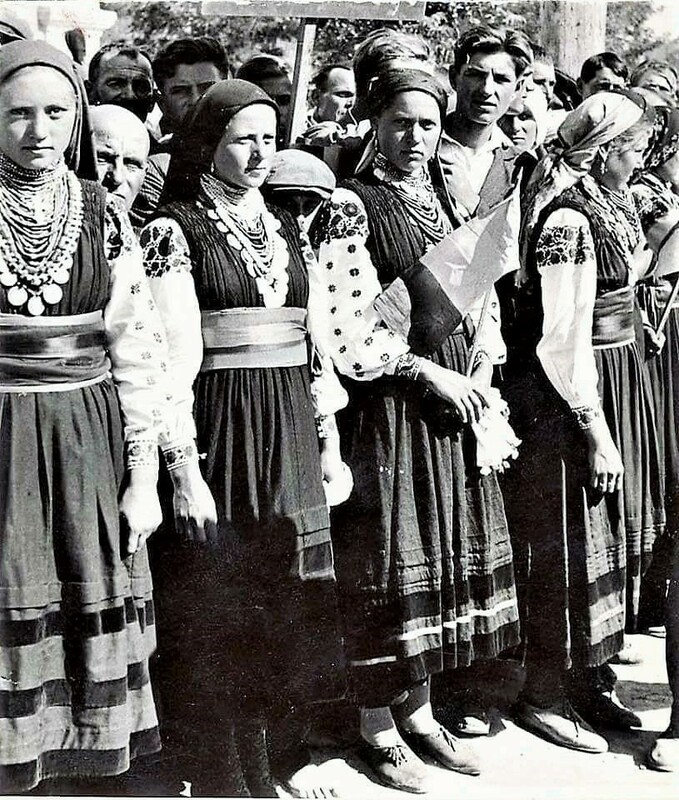 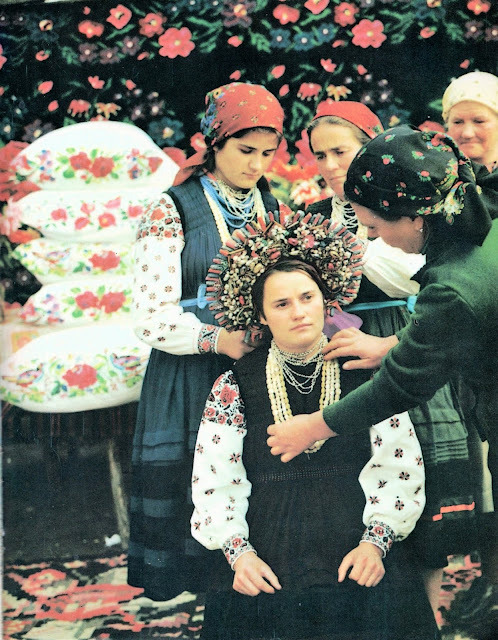 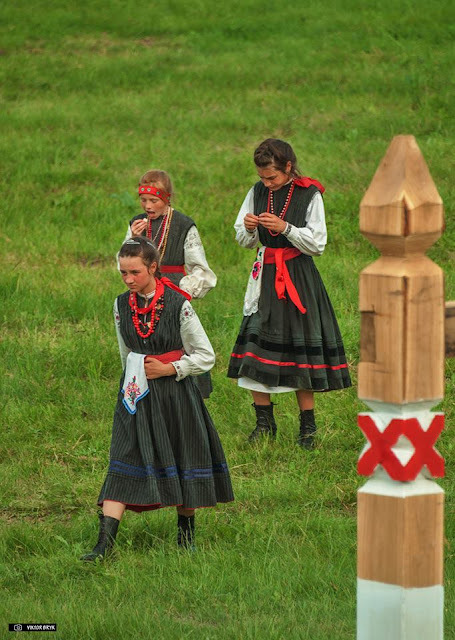 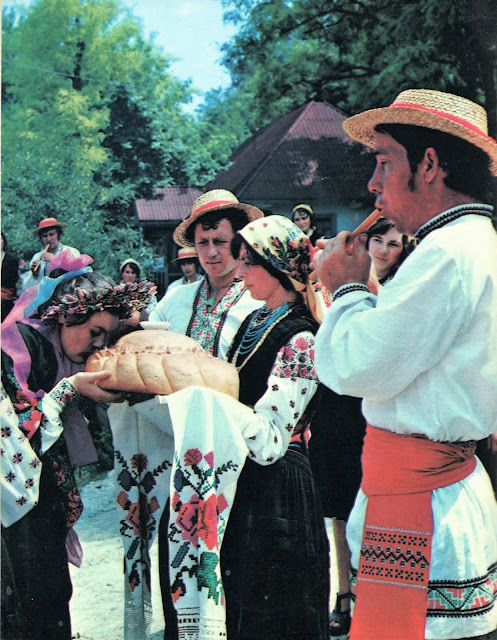 Here are a couple of Images from the Moldavian side, of a bride dressing and part of the wedding ceremony. A drawing of a bride from Moldavia. 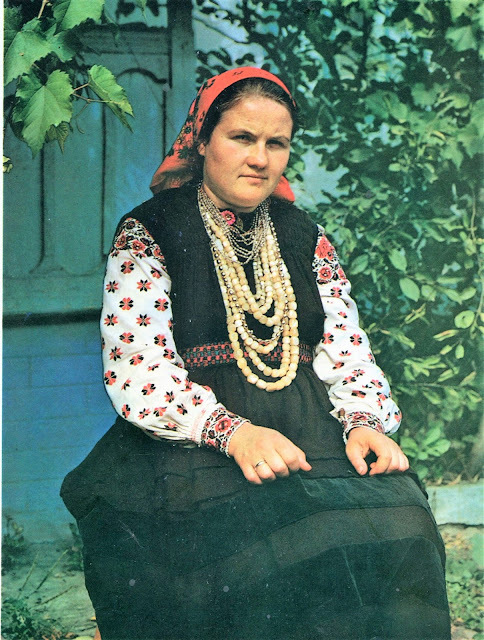 And a Ukrainian photograph of a model dressed as a bride from this region. A couple of Moldavian photos of dress outfits. 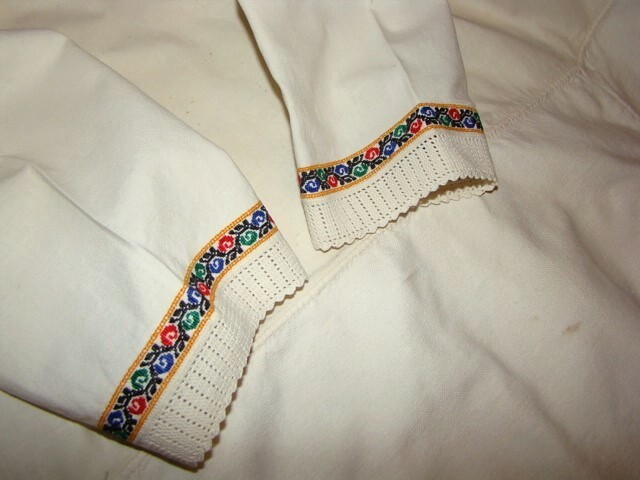 The chemise has a narrow band of embroidery on the collar, a wide band on the shoulder, with a narrow band just under it. 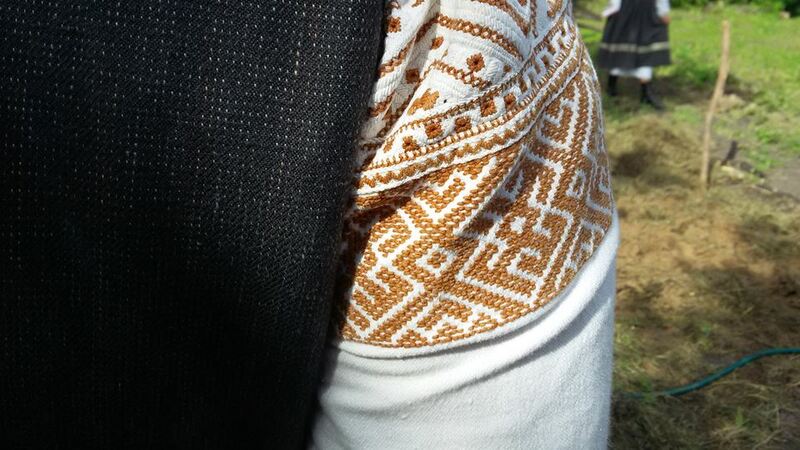 Some also have spot designs on the lower sleeve, and embroidery on the cuffs and hem. 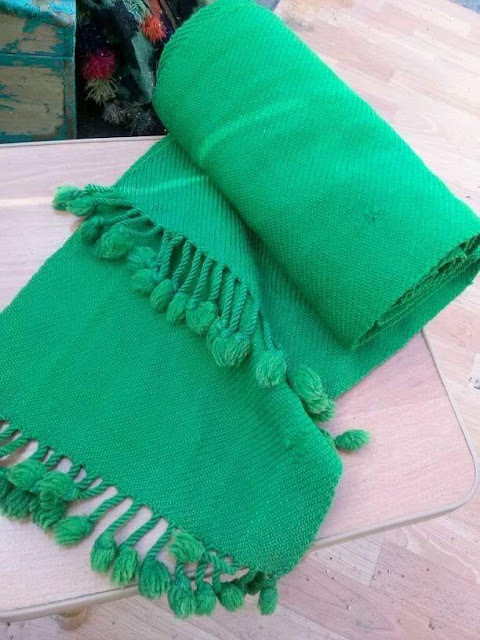 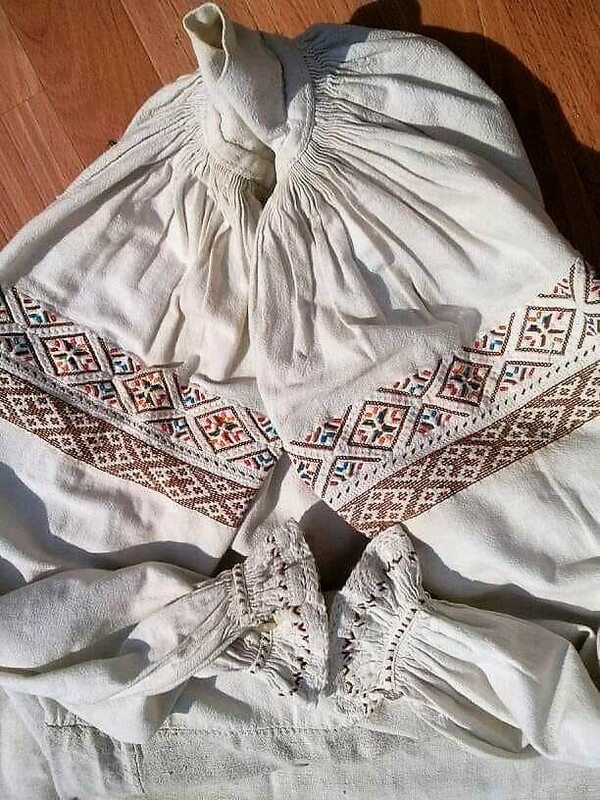 Here are a couple of chemises which were for sale online a while ago, specifically from the village of Shershentsi in Kodyma county.They are of the morshchanka type. 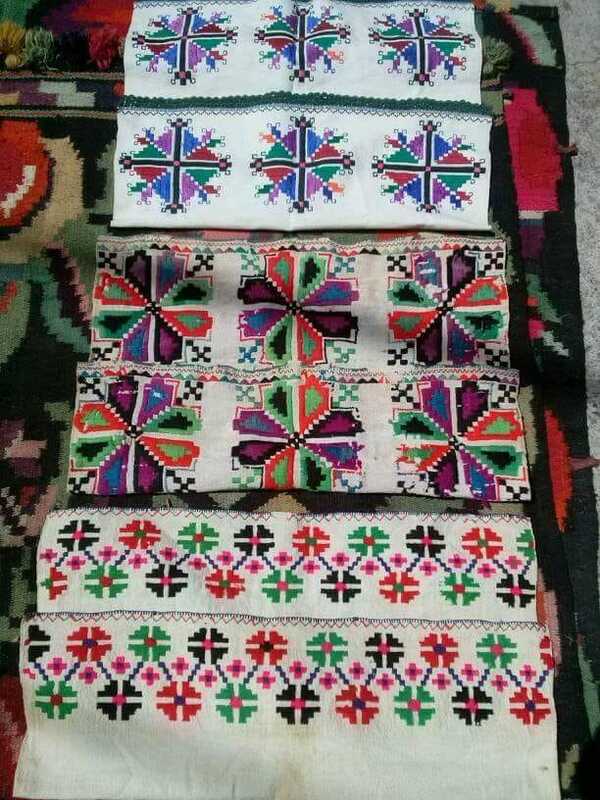 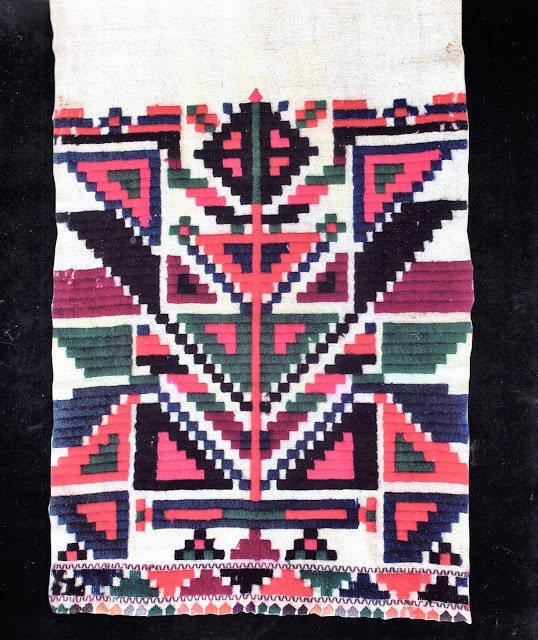 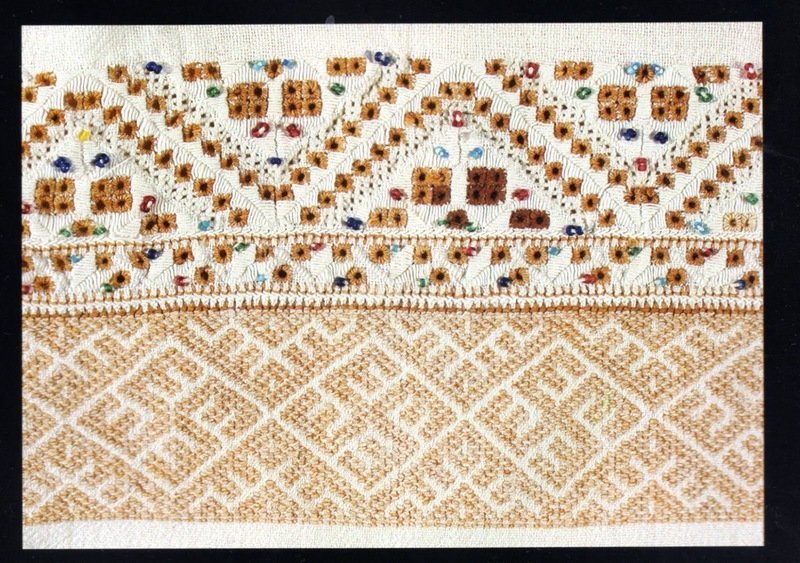 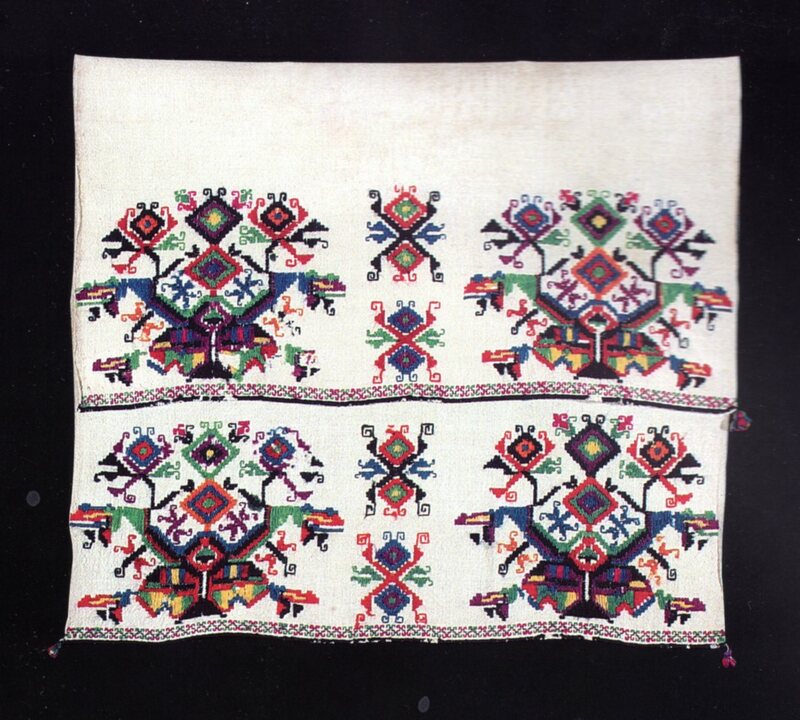 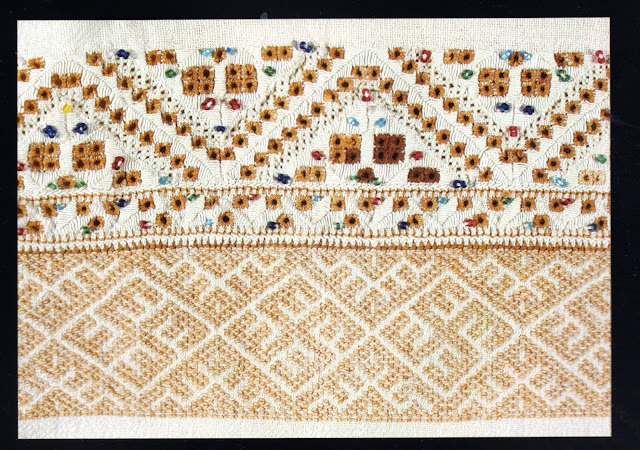 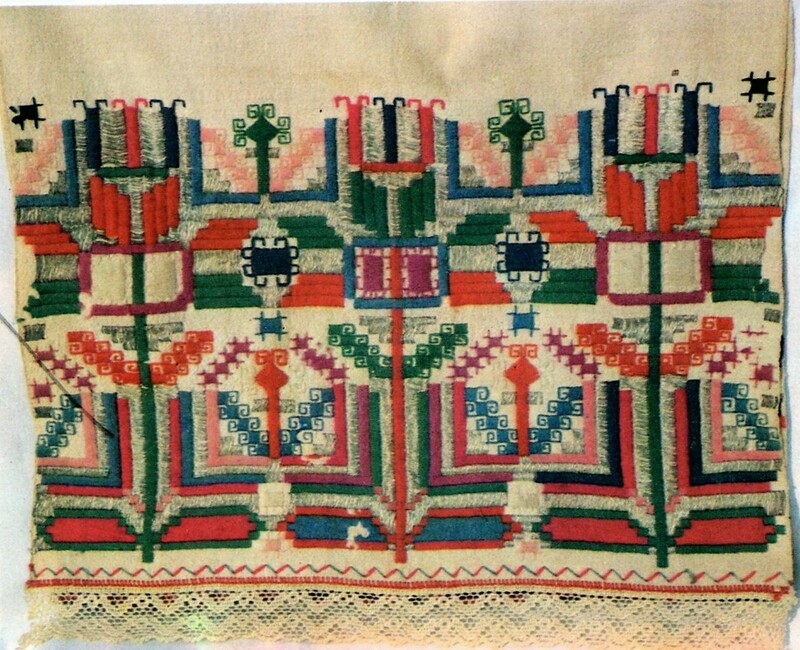 The embroidery is similar, but the narrow band of cross stitch is here replaced by a band of monochrome brick stitch, which is very typical of Podillia, and also of Moldavian embroidery. 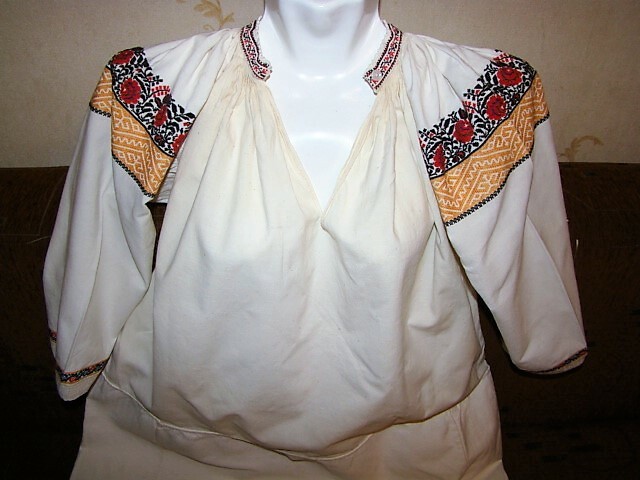 This one had open sleeves with some embroidery and what looks like crotchet edging, no cuffs, and a narrow toothed edging on the bottom hem. 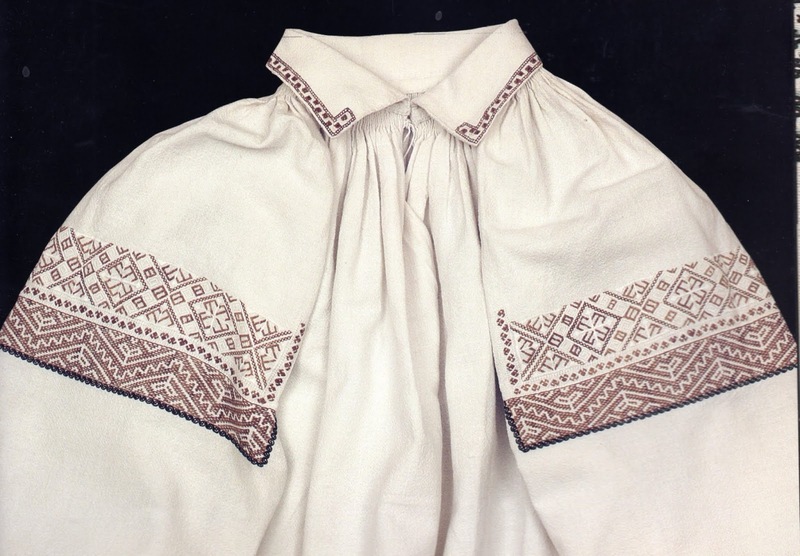 This one has embroidered cuffs and a narrow cross stitch design on the hem which may represent dogs or some other animal. 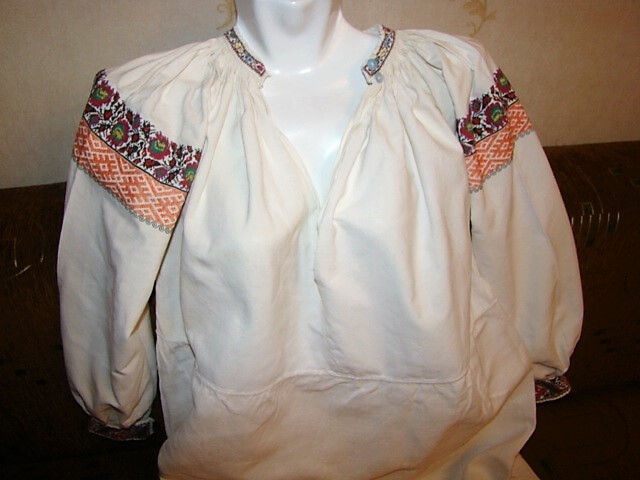 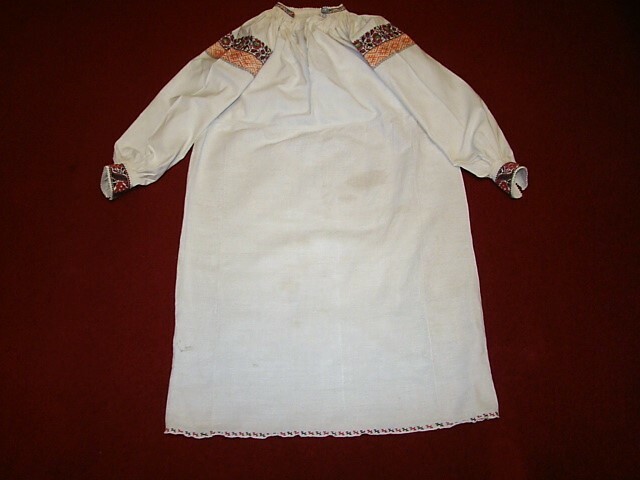 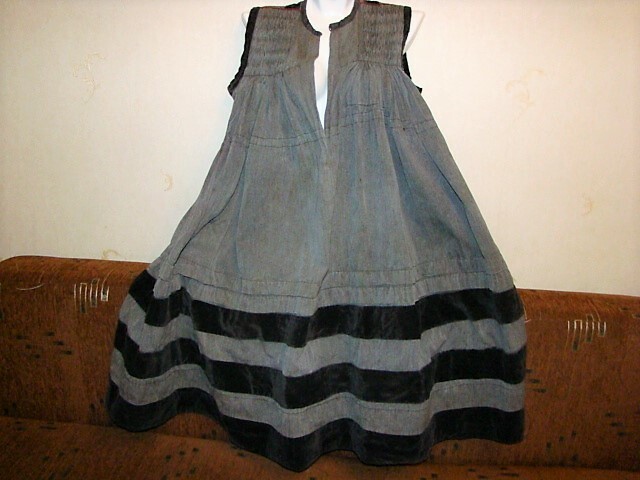 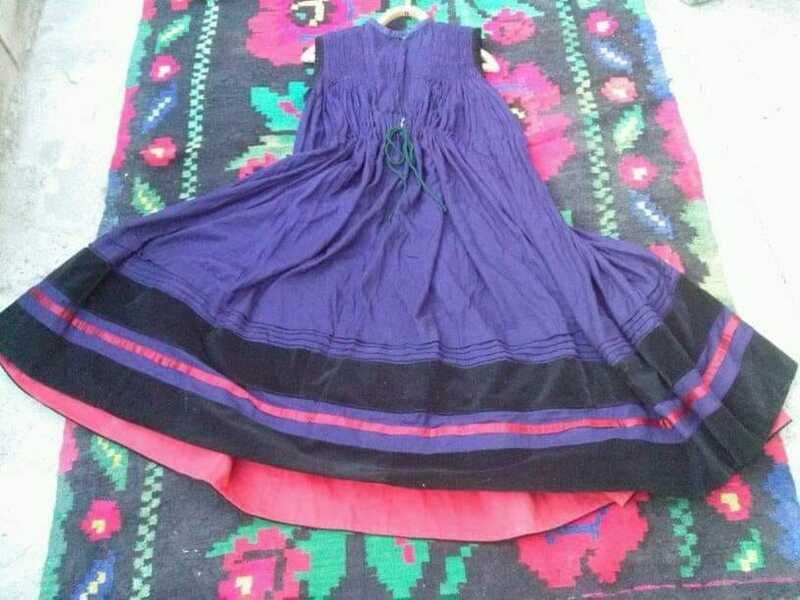 Here you can see photos of another chemise from this district, this one from the village of Zahnitkiw in Kodyma. This is the website Krovets'. 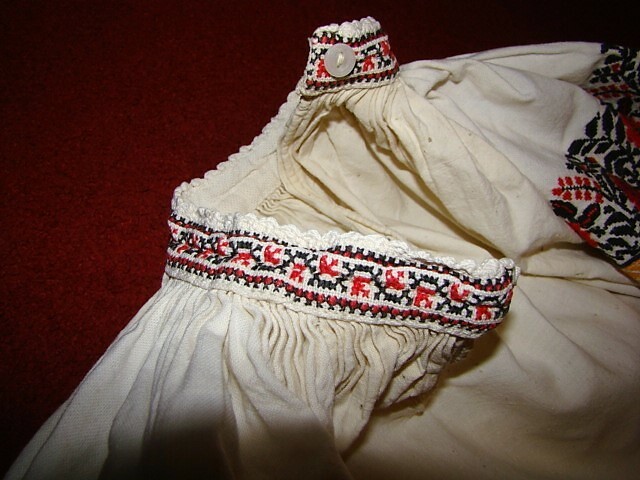 This shows closeups of a chemise with the narrow band of rose cross stitch and stars on the lower sleeve. 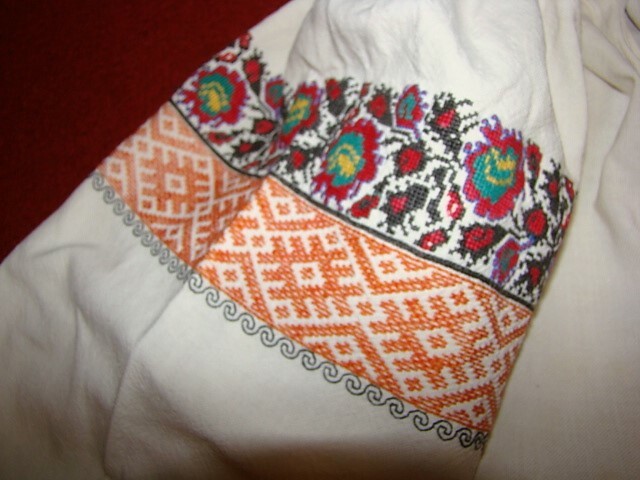 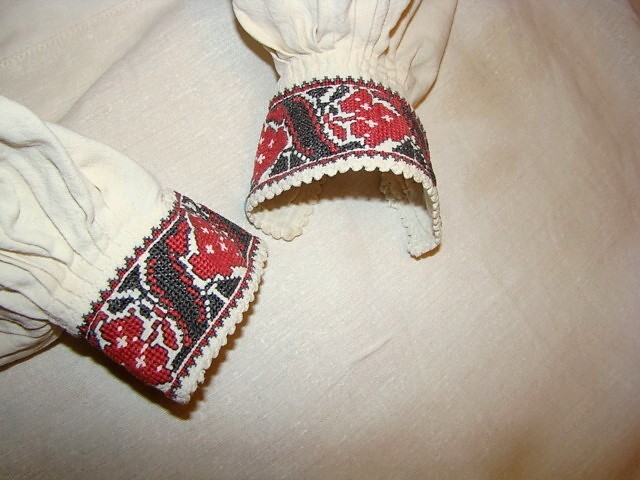 Other, older kinds of embroidery are also used on the chemise, these closely resemble the embroidery of Vynnytsia province, which lies immediately to the north. 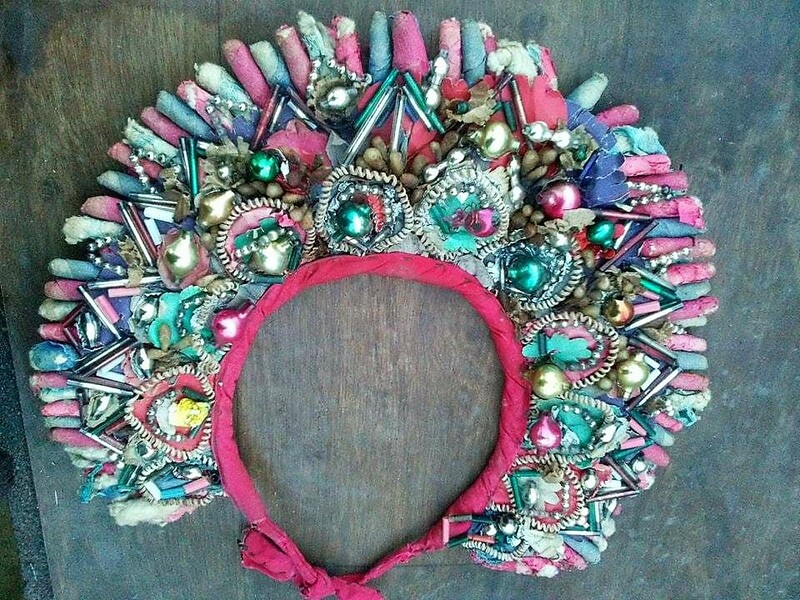 This one has colorful beads worked into the embroidery. These four are from the village of Zahnitkiw, in Kodyma district. 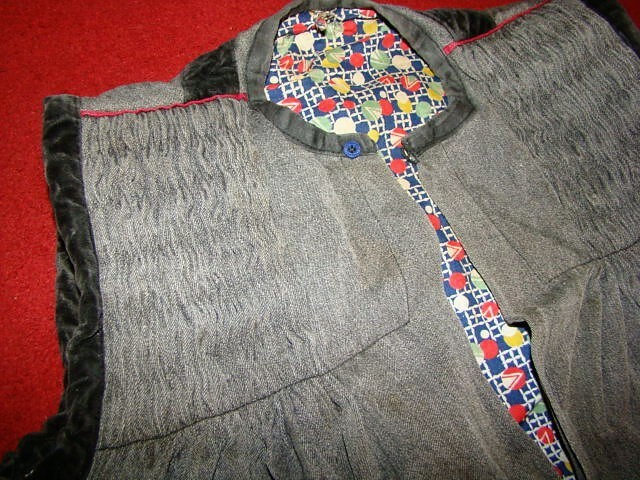 Here are some photos of the outer garment, which is called Sharafan. The front field is smock gathered at the shoulders, the lower part has velvet ribbons for embellishement, and the back has ribbon ornament in the form of princess line seams. 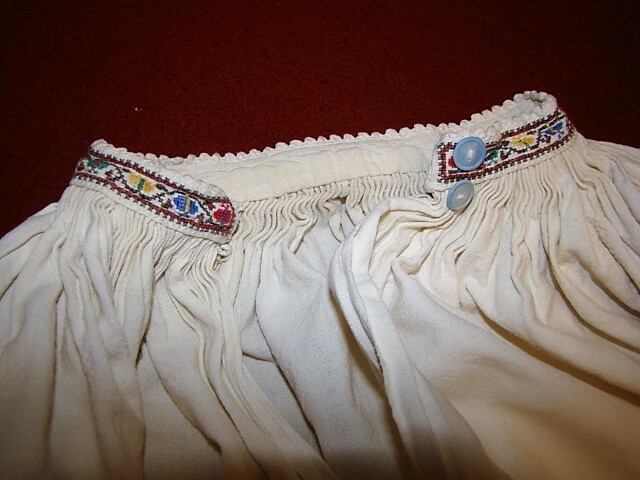 The back skirt is gathered into the back field at the waist. 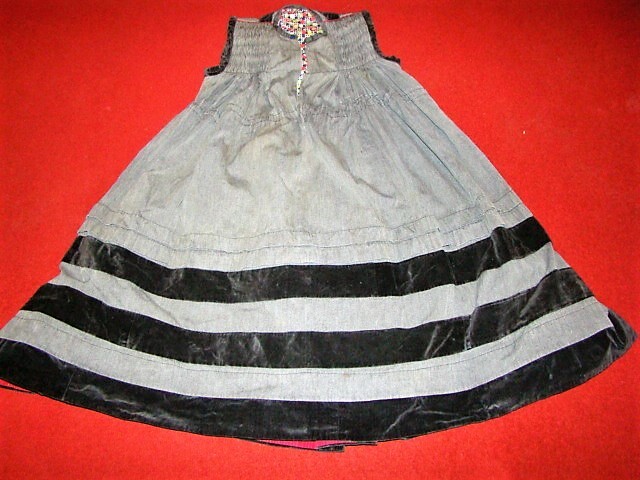 There is a casing around the waist which holds a drawstring used to gather the garment in. 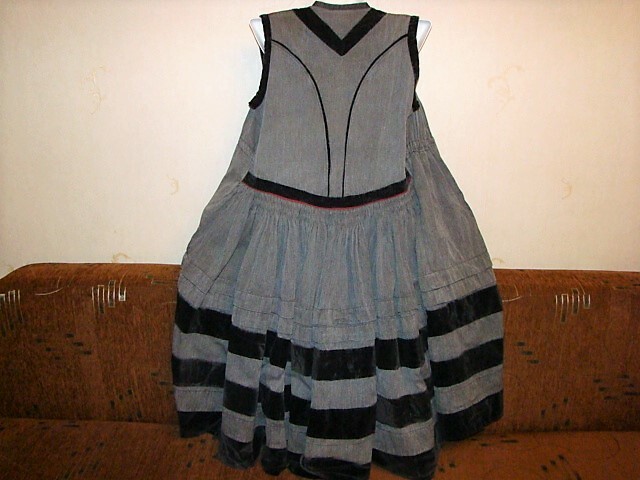 This particular one is gray, but they were also made in other dark colors. 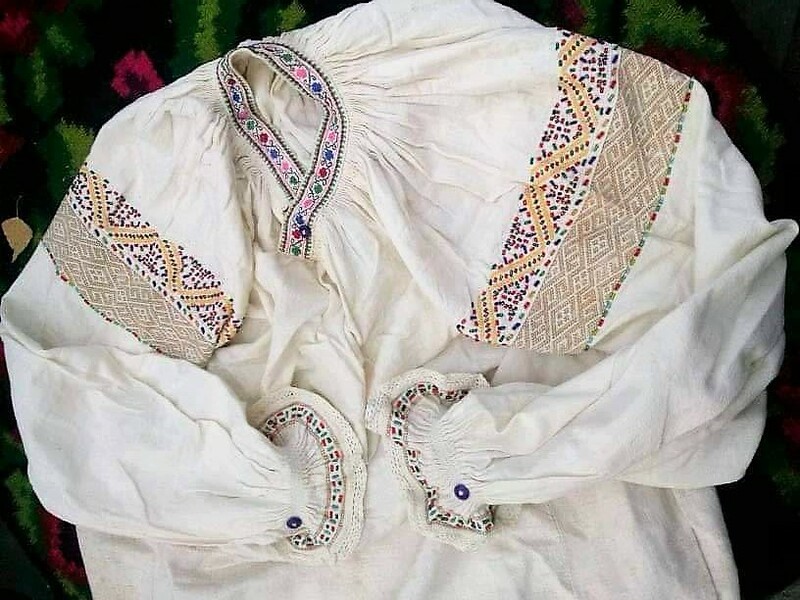 You can see more images of this type of garment at Krovets here, these are from the village of Zahnitkiw. 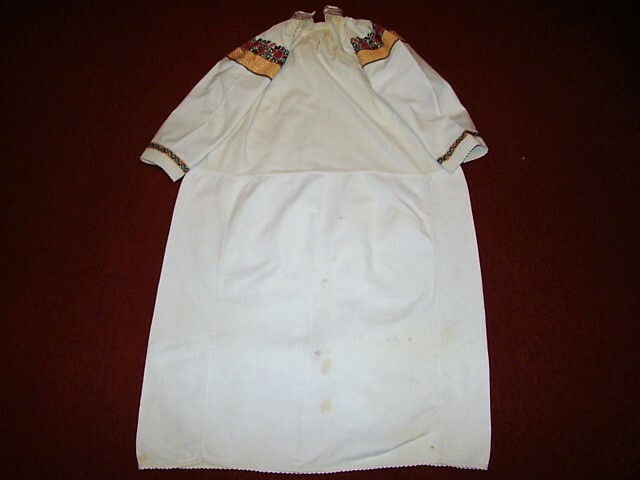 A wide sash is worn over the sharafan, in some photos it looks like they are wearing more than one. 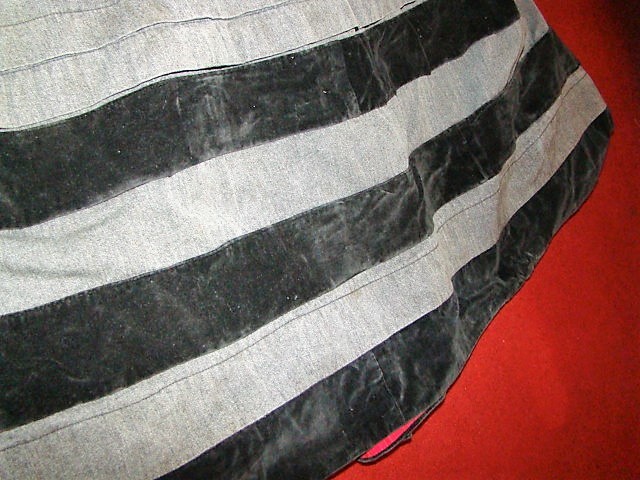 For dress occasions a velvet trimmed jacket is worn which matches the sharafan. Unmarried girls wear a headband. 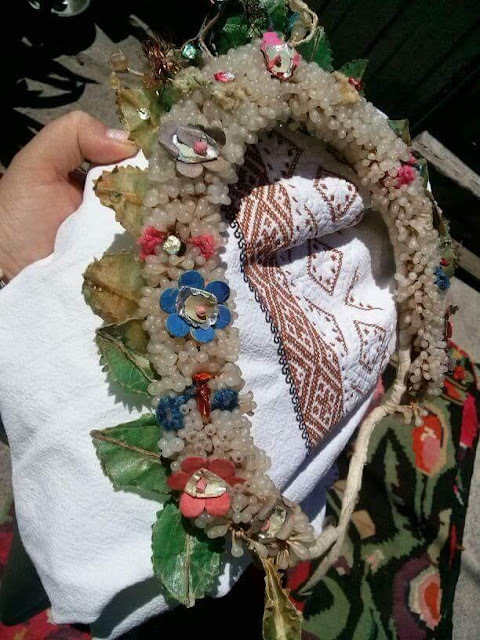 The bridal headdress is shown here, it is distinct, but in line with other bridal headdesses of the area. 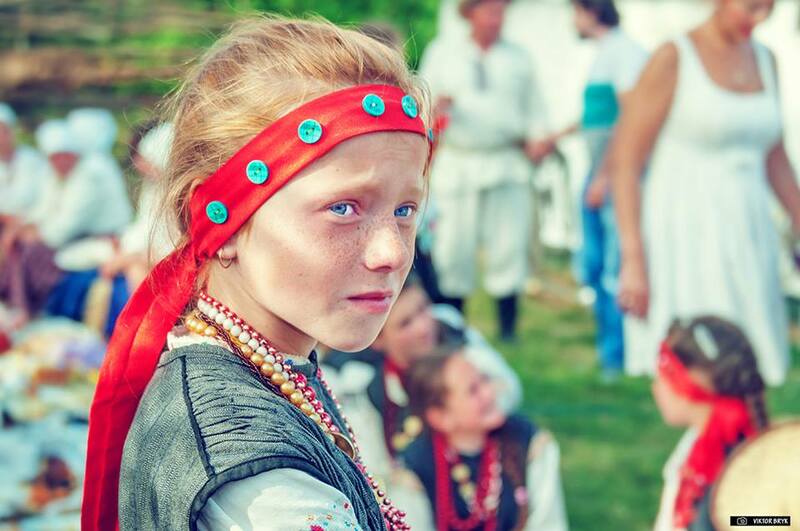 This image is from Ukraine. 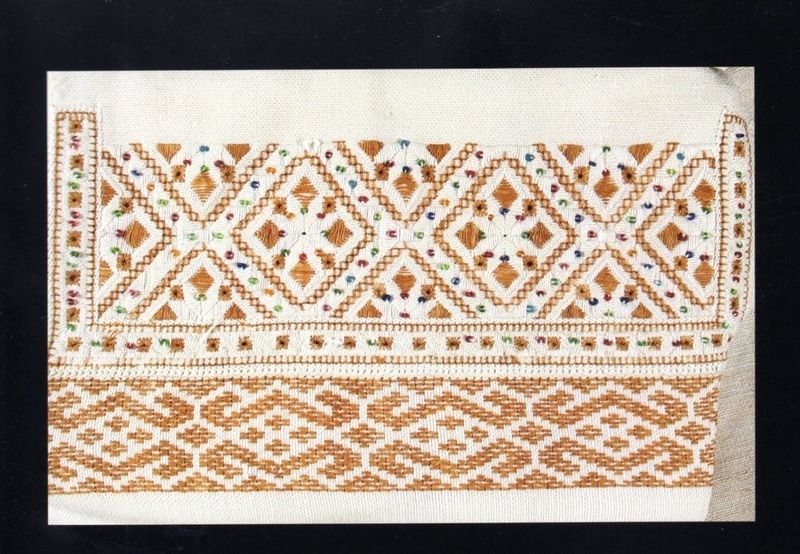 The colorful items around the outside edge are called tsukerky, and are made of colorful rolled candy wrappers. Not every wedding wreath was quite this elaborate. 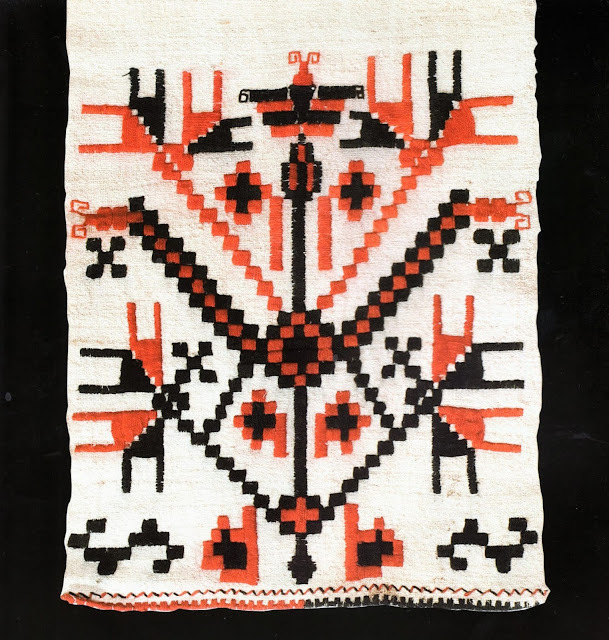 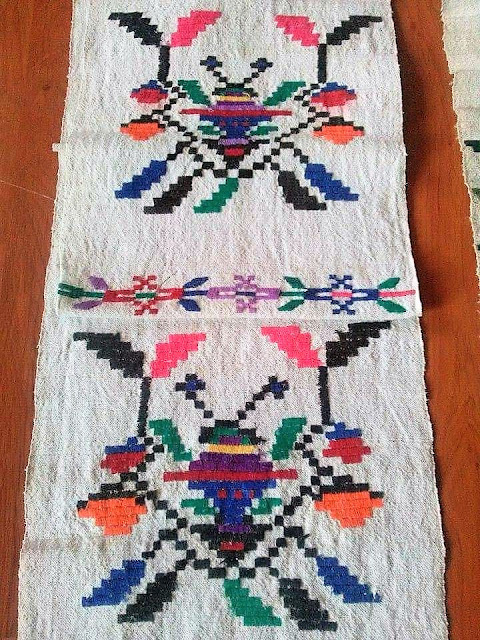 This image is from the embroidery on the end of a năframăță according to a Moldavian source. 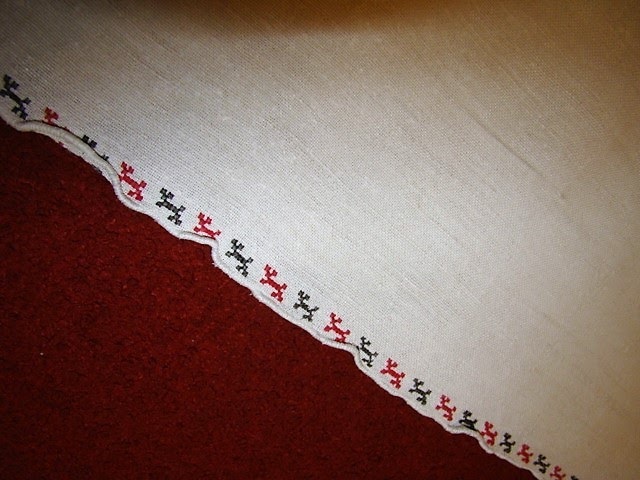 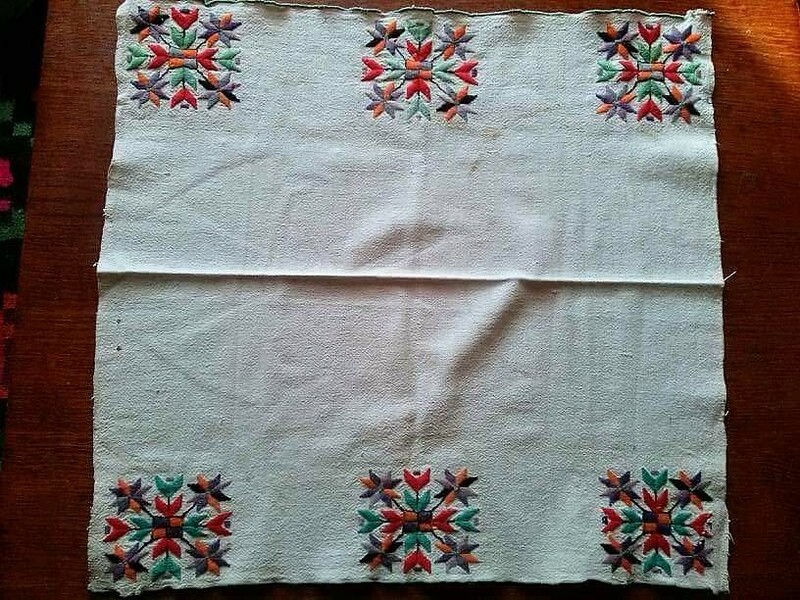 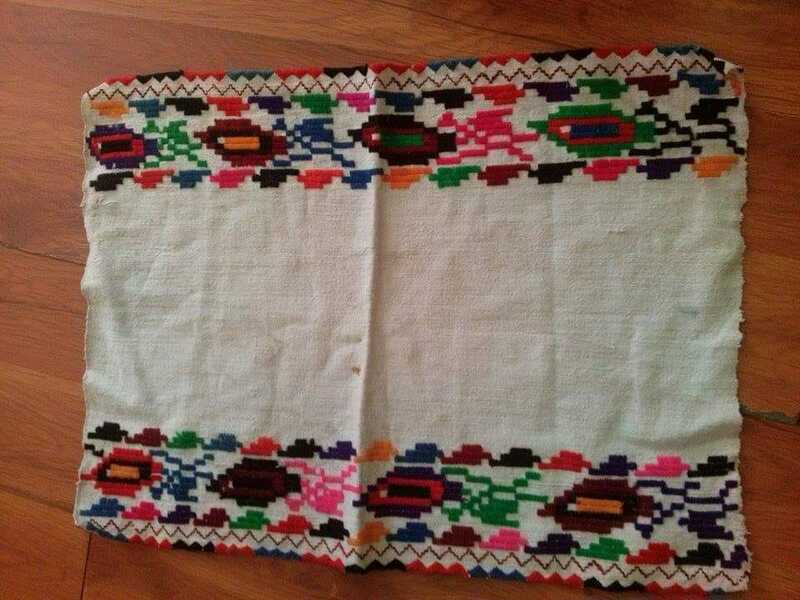 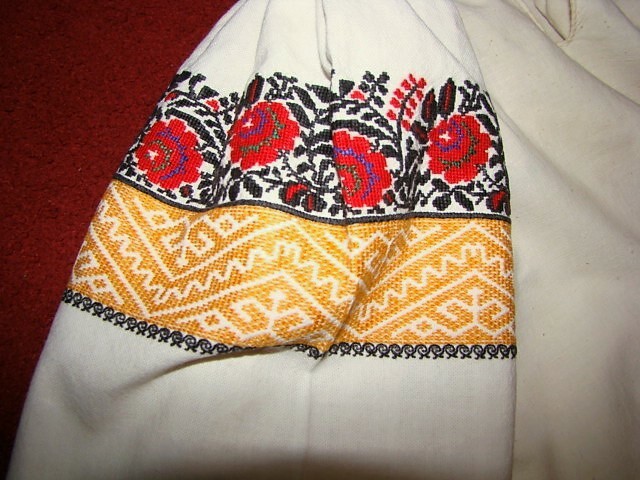 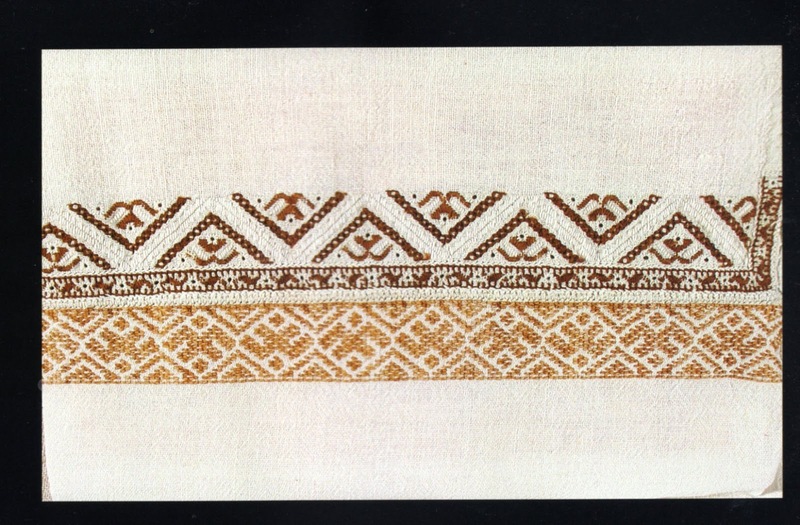 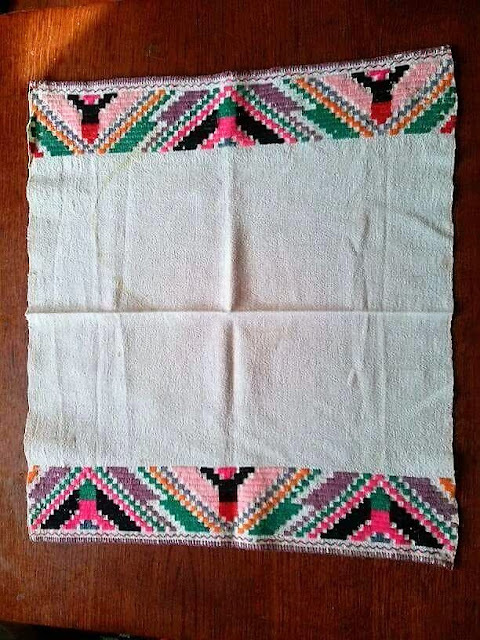 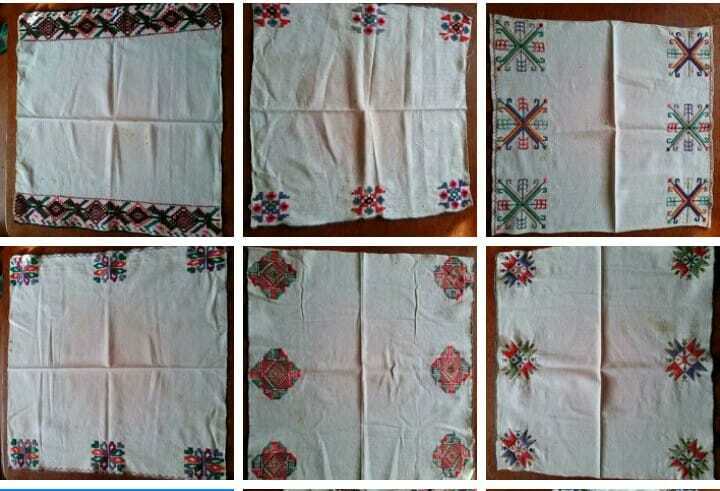 One of my readers is of the opinion that the năframăță is not a headdress, as the author of my source states, but is the same as naframytsia - нафрамиця in Ukrainian, which is a sort of wedding handkerchief, which would indeed be embroidered like this, whereas the headdress would not. 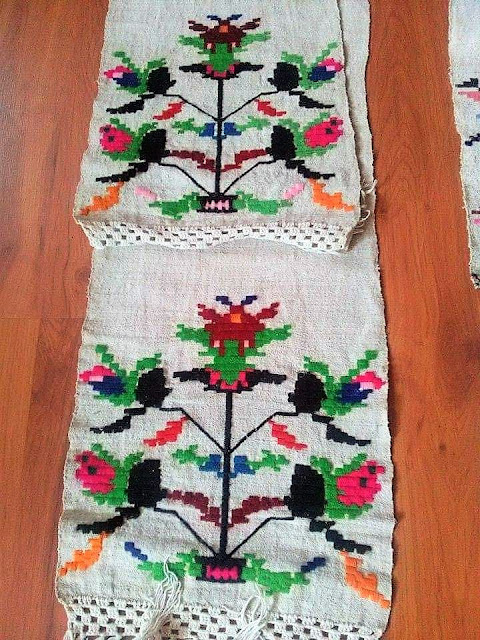 This naframytsia is from the village of Serby in Kodyma County. This one is from Zahnitkiw, also in Kodyma district. 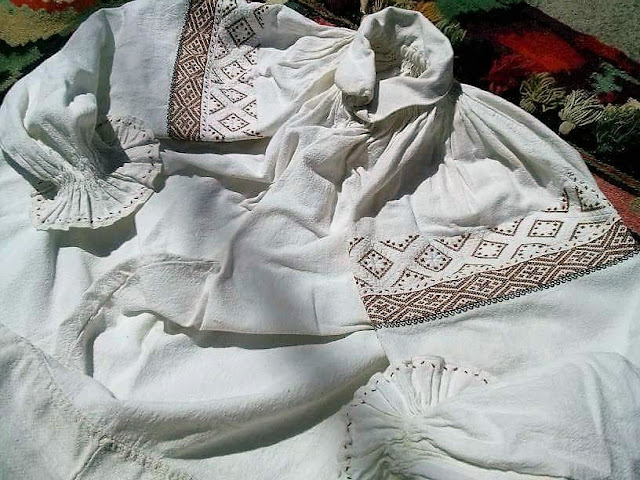 Here are some more images of naframytsi from the general area. Rushnyks from this region are embroidered in the same way. 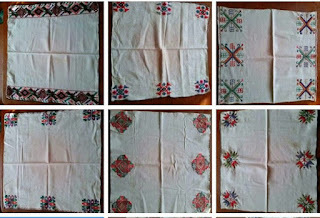 Here are two examples from Bashtankiw. 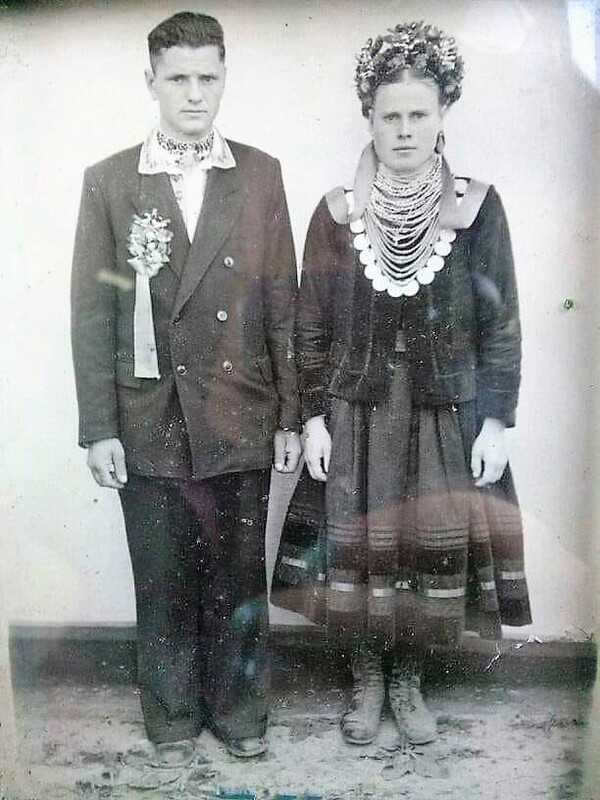 These two rushnyks are from the village of Zaknitkiw in Kodyma district. Here are a couple of images from an Ethnoecofest in Kodyma. 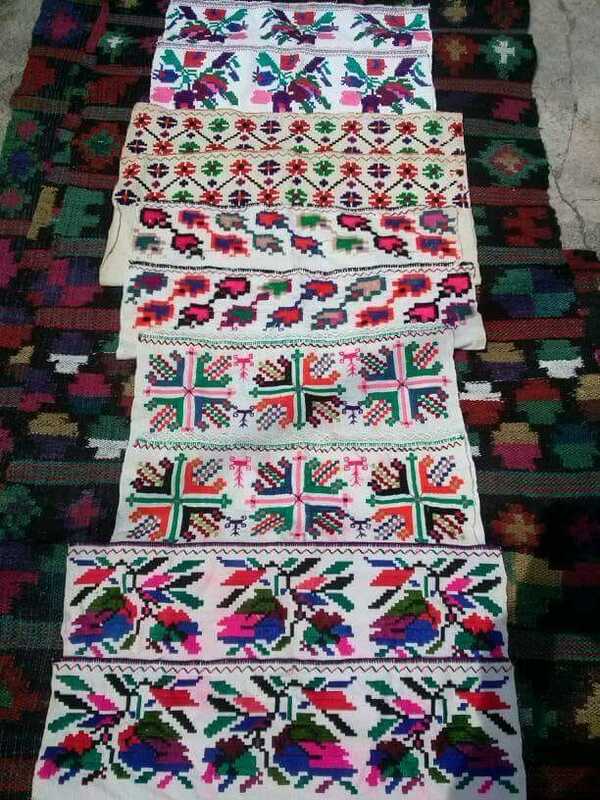 They were showing, among other things, wedding traditions from Shershentsi. 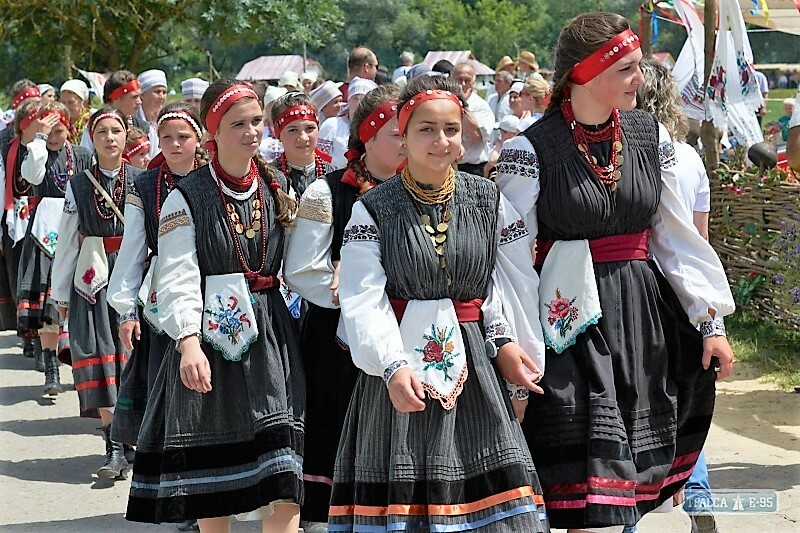 You can see more photos from this festival here. This tradition is still alive. 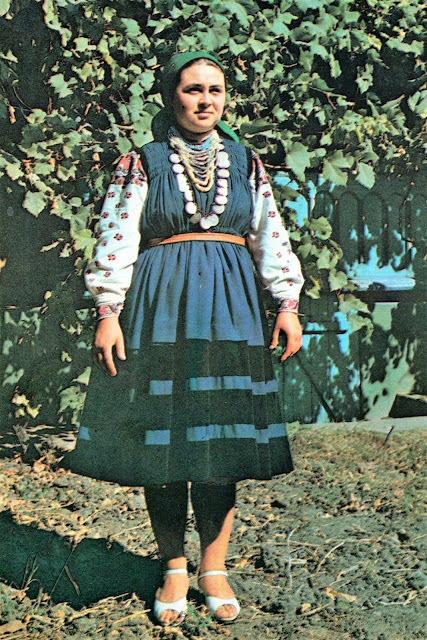 Olga Klymen'ko was kind enough to let me use some of her images, and taught me more about this region. 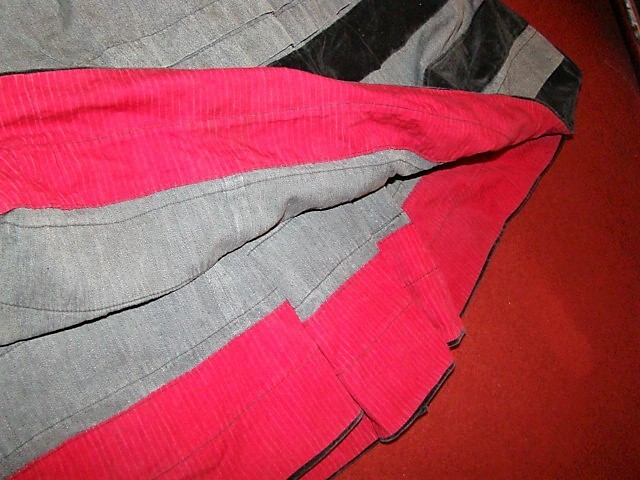 Thank you Roman. 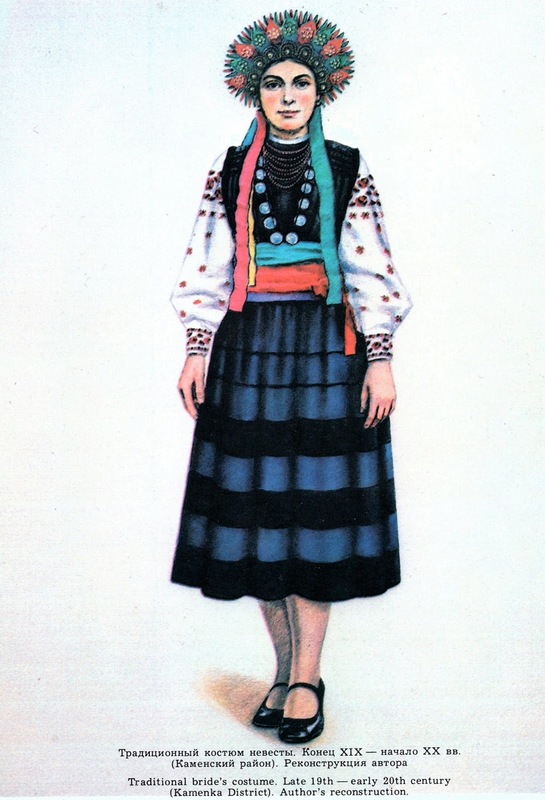 I really love this costume, it's so simple and graceful. 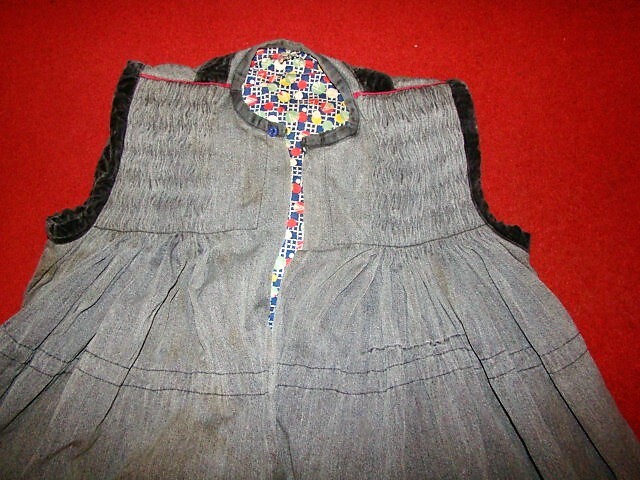 These Traditionally Embroid dresses were awesome.